Are you planning to build a house? Interested in redecorating your room or your garden? Are you interested in having your own architectural plan? Then these architecture software are built for you. Aiming basically for getting professional plans for buildings and houses, these software have some unique capabilities over others. Following are the few of the best-picked software for you to help you in your architectural planning. Easy architectural software powered by intuitive BIM technology to create 3D buildings and 2D floor plans and elevations directly in dwg format. 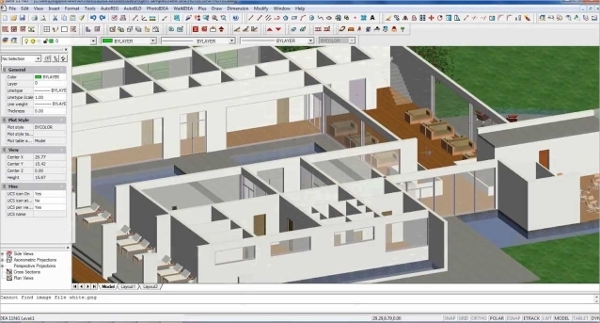 The software offers you features as a similar interface to AutoCAD and complete DWG support. The software serves as both an architectural software and CAD software. You can have the taste of the software with the free trial version before deciding on the purchase of software. Architecture software from Ashampoo team, designed simply with powerful features. The feature highlights of this software include step by step project assistance, 2D-3D cross section views, smart input and construction aids, integrated roof staircase and environment builders, realistic light and shadow simulation, extensive pre-defined objects catalogue. You can have a free trial of the software before purchasing it. 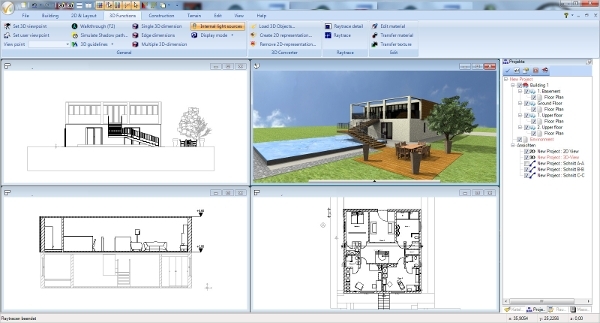 With Sketcher, you can create your architectural plan within few minutes, with its simplicity and advanced features. You can start with your plan by either starting fresh in software or importing hand drawn plan image and building on top of it or building with a pre-defined template. The software is available in three paid versions and one free version. You can have the taste of software before going for paid version. Wayfinder is a 3D architectural visualization and property management software platform. The software offers some rich features including importing locations of objects using spreadsheets, manage users and permissions, see usage statistics, swap floors instantly and zoom, pan or rotate the view. The software supports all the common 3D formats. 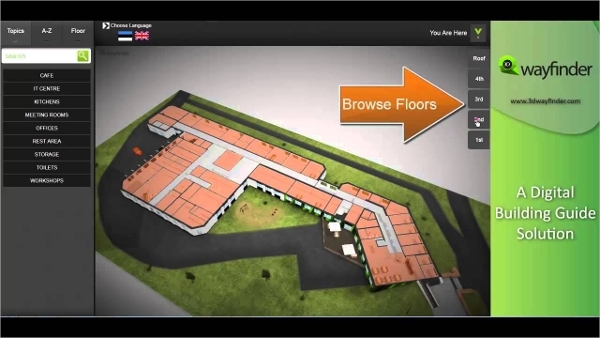 3D Wayfinder can also be integrated with any website or web-based application. 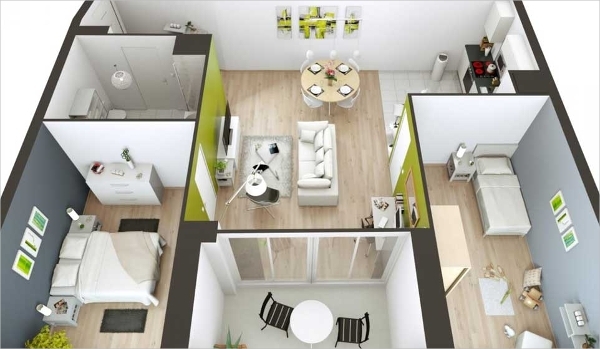 3D Architect home design is the software specifically designed for Windows platform users. For people at any stage, whether home remodeler or professional architect, 3D Architect home design is ideal entry software. 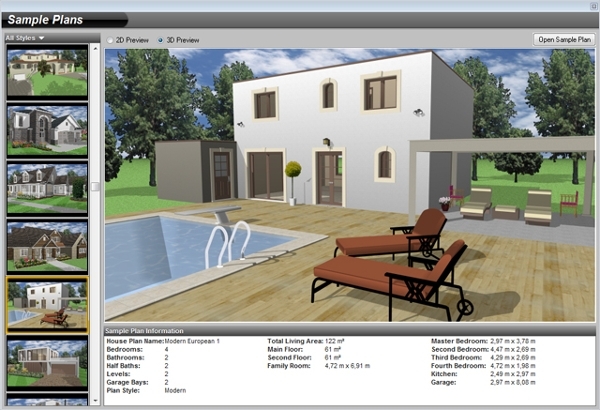 The key features of this software include dialogue boxes, landscaping tools for making of path or ponds etc., 3D warehouse interface for adding, furnishing items directly to your design, preset lighting schemes, lighting shadow and reflection effects for real-time design, extensive range of doors and windows, 3D walkthrough function to walk through your project for demonstration. The software is normally priced with the features it offers. 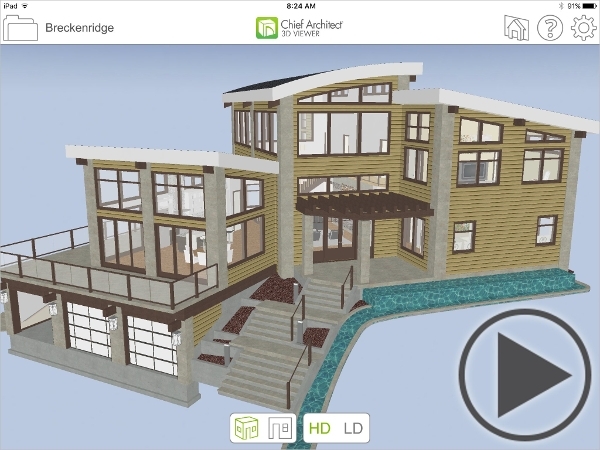 Chief Architect 3D is Architect design software built specifically for the Mac (iOS) platform users. The software is free for use. The software has some good features to offer including dynamic cross section views for both interior and exterior, gyro camera for freeform viewing, walk through to walk physically (simulated) through your model. You can also export your design to the cloud or Chief Architect desktop software to view the model in 3D mode. 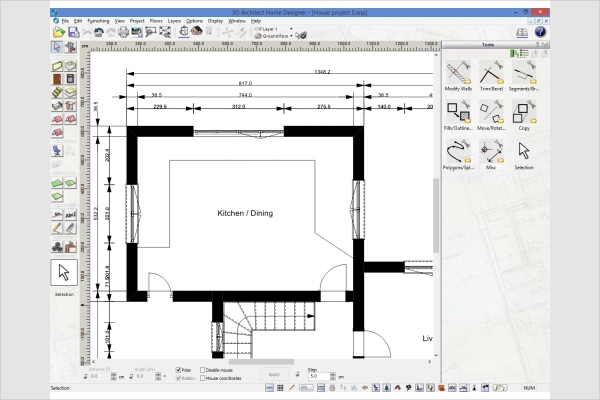 What is Architect Design Software? Though all the software listed above offer some functionality in common, which you can expect from an Architect design software, each of them has some unique feature to offer over others. Some software has trial version to give you a taste before you spending money. If you don’t need advanced features, you can opt for the free one’s; but for the advanced user, the choice is a personal preference.